Wow, do I feel crappy. This is really the best word to describe how I feel right now. CRAPPY. I’m sorry if the word offends but my body is feeling rather offended with the feeling of crappiness so I think I win. These last few days after my tenth round of chemo have definitely been the hardest since I started treatment. It’s beginning to take it’s toll on my body and it shows. The doctor told me this would happen. It’s not like I didn’t know it was coming but it’s still hard. I guess I thought because the first six treatments hadn’t been so bad with the side effects, I was special. But alas, I am not special. At least not in the way that I would be spared all the side effects. Here comes the list of all the things wrong with me right now and be warned; it ain’t pretty. I suggest you stop reading right about here if you really don’t want to know. Of course, nausea. Oh, nausea! We all know the feeling. Although I have a big stash of Zofran at my disposal, it still creeps up on me. The feeling washes over me and it’s all I can do to not lose my cookies. If you’ve ever had a bad hangover, this is the feeling except its extended by a few days. Fortunately, the meds do the trick in the end (although too slowly for my taste sometimes) and I’m saved from hugging the porcelain throne for a week. That’s all I have to say about that. It makes me feel sick thinking about it. Then there’s the exhaustion. I’ve always felt exhaustion after every chemo treatment but this one is a whole new monster. You see, although I’ve been exhausted after treatment, I never found myself gasping for air like I did this time. I’ll never forget it. It was Friday, the day I left the hospital for home. All I wanted was a long, hot shower in my own house and to slip into some clean pajamas. I went to take said shower and noted that I felt a bit out of breath just standing there. I put it out of my mind and proceeded to take the longest shower that ever lived. As I got dressed afterward, my heart began to beat so fast I had to stop. A mere walk across the room had made me feel like I’d just run a mile in 3 minutes and I was suddenly gasping for air. My husband walked in on me panting and asked me what I’d been doing to be breathing so hard. Absolutely nothing. My doctor says I should exercise. Ha! How the heck am I supposed to do that if I felt like I was gonna pass out after walking across the bedroom?! Exercise is gonna have to wait until treatment is OVER. ‘Aww, was it the cancer that killed Cristina?’ ‘Oh no, it was the exercise.’ I can almost hear it now. No thank you. This exhaustion also makes me feel like I haven’t slept in days. I trudge around the house dragging my feet only to plop myself down on the couch to try to take a nap. Although I am tired, I can’t sleep because with the exhaustion comes restlessness. My life would be complete if I could get a nap in sometime during the day but that does not happen. I go to bed at 3am and wake up at 8am. Not the best night’s sleep but at least it’s something. There’s also this overall feeling of ‘ick’ that I just cannot shake. It’s hard to describe but I’ll try. Do you know that feeling you get when you know you’re getting sick and it’s gonna be the big one like the flu? That’s kind of what this feels like. Throw in some nausea and achy bones from an injection I received the day after chemo and voila! Insta-Flu. Just like the flu except none of the sneezing or oozing. Unfortunately, I did get fever after my ninth treatment complete with the chills and everything. So, it was exactly like the flu that time, but I digress. My appetite has suffered a bit but not as I thought it would. I thought at least I could lose a few pounds out of this but it looks like I’ve gained them instead. The enormous amount of steroids I’m given during treatment is the culprit for both my ginormous appetite and my restlessness. 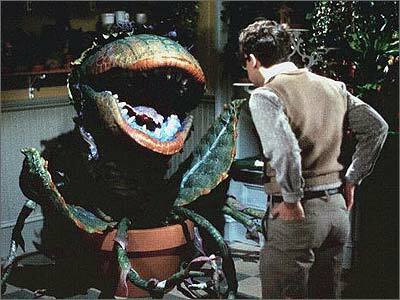 I eat and eat and still feel like the plant from Little Shop of Horrors. The problem is that even though I can eat, its not a very enjoyable experience. Food tastes different. It feels different. Certain foods I considered my favorites are no longer that and some textures simply make me sick to my stomach. Food doesn’t have the same allure it did before like in the cartoons where the smell is a hand beckoning Tom & Jerry to come hither. I eat to live right now, simply because I have to. It’s officially the third day after my tenth round of chemo and I’m counting down the minutes to the moment I feel somewhat normal again. It could be one more day or it could be seven more. At this point, I just don’t know how long it will be. It feels like an eternity. Oh by the way, my eyebrows are officially gone now too. Crappy sounds like an appropriate description for such a miserable feeling. I’m praying that your relief comes quickly. May the peace and comfort of God take up residence in your heart and mind. You. Are. Amazing! You write about how crappy you feel and still you’re able to inject a little humor. Cristina, I love you, my Sister, and I lift you up to our Savior daily (actually at least twice daily). The Lord has purpose in all he allows in our lives and when I lift you up to Him, I not only ask for healing, but I thank Him for placing you in my life, and for the inspiration that you are to me. A lesser person would moan and groan, but you somehow place this illness in perspective, and that is where purpose comes in. As you give us all a peek into what you must endure to beat this disease, you are teaching us what it means to gracefully persevere. Thank you for sharing your struggle with us. In doing so, you have given us so much more than you know. I mean it when I say you are my hero. Hey Cristina! This is Nicole Salinas, “Coaches” daughter. 🙂 I hope you are feeling better! Your strength and determination to beat this is so inspiring! Hearing your words helps me to try to understand what my dad must also be feeling through his own battle. He doesn’t give us any insight into how he is feeling, so it is really nice to try to understand him through your words . You have such an amazing personality, charm, and smile and I love that I have had the opportunity to know you! I hope that all is well with you today. I am praying for you and your family. Praying for you always and you are surrounded by love… I know how sucky cancer treatment is. I can only imagine having to deal with it continually over and over, after hoping that this is the day that you get the good news. We found out about our cancers and went through treatment at the same time, although she had follicular non-Hodgkins lympphoma and I had breast cancer. Even when things seems down and at its worst, she still pulled through. Hang in there, girl!